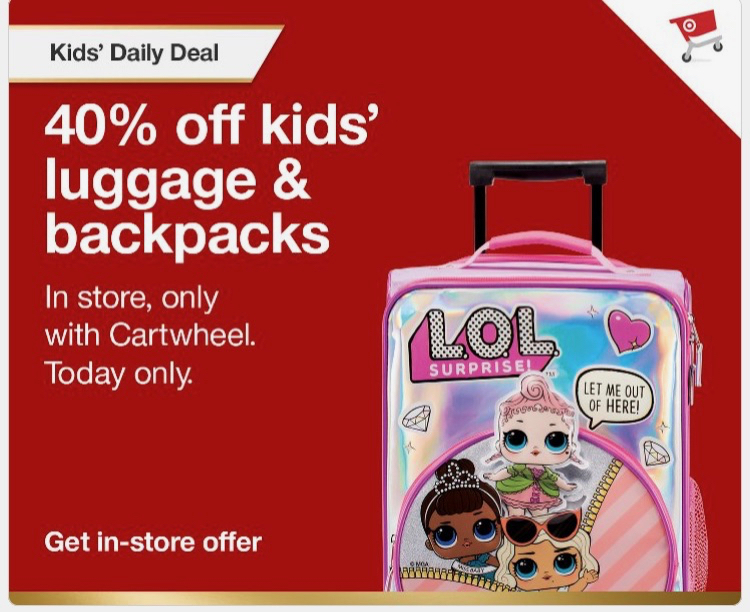 Target is offering a new Kids’ Daily Deal everyday through November 22nd. You can save up to 40% off select kids’ items with Cartwheel. Today’s daily deal is 40% off kids’ luggage & backpacks. This offer excludes clearance and there is a limit of 10 items per transaction.